Arguably some of the best golfers of all time, Jack Nicklaus and Arnold Palmer were forces to be reckoned with on the golf course. 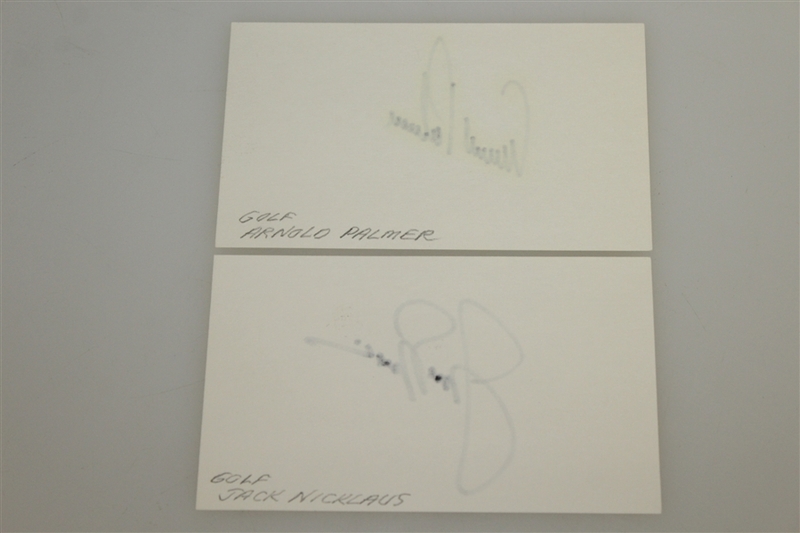 Nicklaus ( The Golden Bear), with his 18 Major wins. tackled Augusta National every chance he got, winning an incredible 6 times at the Masters in 1963, 1965, 1966, 1972, 1975, and 1986. Palmer (The King), finished his career with 7 Major wins, 4 of those being Masters victories in 1958, 1960, 1962, 1964. 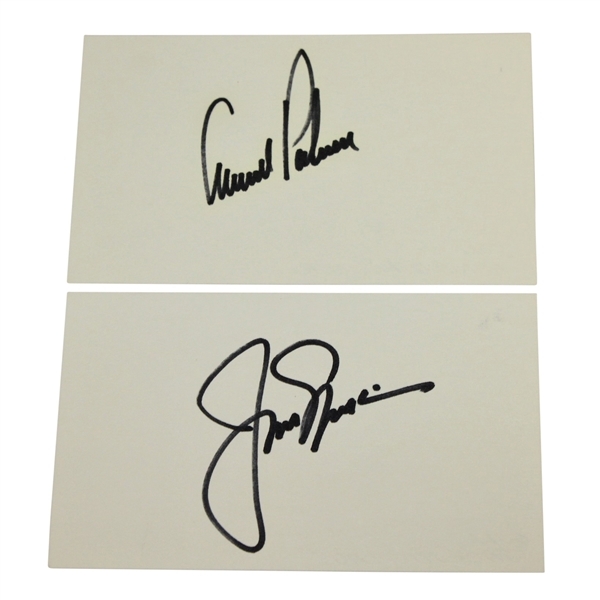 Here we have a two 3" x 5" index cards individually signed by Nicklaus and Palmer in black marker.